Looking for weekend getaways near Manila? We’ve got you covered! When you are tired and stressed out from work, traveling is one way to spend your rest day. After a relaxing weekend, you’ll be full of energy to face Monday. In this article, we have listed some of the best weekend getaways near Manila so you can make the most of your time away from the company. Experience Bali now in Batangas at Villa Jovita Resort with their newly added Bali inspired corner. Aside from this, the resort is well-known for their non-chlorinated pools. Whether you’re planning a day tour or an overnight trip, you’ll love swimming in the riverside pools and soaking in the beauty of nature. If you are looking for a private resort for your barkada, Villa Severiano Resort is one of the best choices in Batangas. The resort has a function hall, a balcony, sets of rooms and pools to provide you an unforgettable experience. The place is perfect for events and team buildings. Expenses: Overnight for a group is around P13,000. We were around 60 people when we went there. 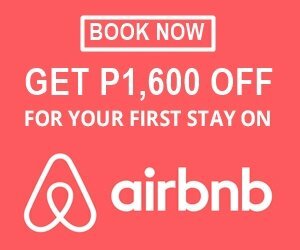 For an affordable Laiya experience, One Laiya Beach Resort has one of the lowest prices along Laiya beach. With the creamy and fine sand, you’ll feel like you’re in paradise. Don’t forget to bring reef safe sunscreens and be a responsible traveler. Love snorkeling? Binukbok View Point Resort boasts of a rich marine life. If you’re lucky, you’ll get to see the talahitok run. Bring your own snorkeling masks for a better snorkeling experience or rent a few gears. If you’re up for it, you can even try scuba diving. True to its word, No Limits KFB Farm Resort has no limits with its activities. You can play all day long around the green wide open spaces on this farm, wake up early to trek to Taal Lake, grill some meat, sing karaoke, and try glamping. The best part? The farm resort allows you to get free eggs and fruits around the place. Marian Orchard is one of the well-known places to go to during Holy Week. The gardens in this place are well-built and beautiful. Bring your camera and an extra battery so you can take lots of photos. Aside from the many pools and activities in La Virginia Resort, the place is mostly visited for its stunning statues and castles. You can also get a spectacular view of Taal Lake here. For a hiking experience, Mt Maculot is great for a day trip. Here, you can see the famous Taal Lake and the Rockies. From its summit, you will get a view of Batangas and even see as far as the seaports. When you want to go to Vigan but don’t have the time to sit on the bus for around 12 hours, you can simply go to Taal Heritage Town. This place has tons of ancestral houses, and museums. The largest Catholic church in Asia can be found here. What makes Taal Heritage Town different from Vigan is their ancestral homes that are converted into a bed and breakfast inn such as the Taal Villavicencio Wedding Gift House. Expenses: Depends on which house/gallery/museum you want to check. Most have free entrance while others collect P100 fee. Manuel Uy Beach Resort doesn’t have any fancy amenities. Here, you will only have the beach and your tent to enjoy. If you don’t have a tent, you can rent one here. There are parking lots nearby so you can bring your own car. The Stilts Calatagan is just a few meters from Manuel Uy so you can check it out and see what the Maldives of Batangas looks like. If you love to spend the time by the beach with great views and all, Sawang Dive Camp is for you. Not only are there great snorkeling sites nearby but the staffs are also quite friendly. You’ll immediately feel like you’re home away from home. You can rent a tent or a cabana for the night. Want to go to a spa and relax by the pool at the same time? Look no further than Valentino Resort and Spa! It’s all in one. And if you’re feeling hungry, go taste the legendary lomi at Corcolon’s Lomi House. It’s just 5 minutes away! Did you know that San Pablo City in Laguna has seven lakes? Wow,t hat’s a lot! One of its famous lakes is Pandin lake. You can try swimming in the lake, go rafting and eat a scrumptious lunch. One word to describe the experience here is ‘sulit’. Aside from the lakes, Laguna is also blessed with waterfalls. Go chase waterfalls in Luisiana, Laguna and visit three waterfalls in one day specifically Hulugan Falls, Talay Falls and Hidden Falls. During summer when it’s too hot to go out, cool down a bit in the cool waters in Bato Springs Resort swimming pools. The place boasts of man-made waterfalls and spring waters that come from the mountains. And when you just want the perfect staycation in Tagaytay, check out Nordic Homes Tagaytay. Not only is it instagrammable and pretty comfy, but the place also provides free Netflix and PLAYSTATION4 access. You’ll be sure to have lots of fun here. Expenses: Rooms start at P2300. Rates are cheaper during weekdays. Kawa hot bath? La Veryol’s Mountain View Garden has kawa hot baths waiting just for you. You can also try their awesome massage for a good night’s rest. You know what they all say, ‘a hundred islands means hundreds of fun!’. The Hundred Islands in Pangasinan is sure to provide you with the best island hopping experience. You can never get enough of Bolinao. From the Patar beach to the Bolinao Falls, a mere weekend won’t be enough to get the most of your trip. One of the most unique accommodations available in the Philippines is the Birdland Beach Club. It’s where you will find the Bolifugao Towers. These are around 4 to 5 stories high kubos. If you’re into camping, rejoice! Here are some of the best campsites for unforgettable weekend getaways near Manila. Did you find this Weekend Getaways Near Manila post helpful? PIN ME!